Hip prostheses consist of a ball component, made of metal or ceramic, and a socket, which has an insert or liner made of plastic, ceramic or metal. The implants used in hip replacement are biocompatible — meaning they’re designed to be accepted by your body — and they’re made to resist corrosion, degradation and wear. Between 200,000 and 300,000 hip replacement operations are performed in the United States each year, most of them in patients over the age of 60. According to the American Academy of Orthopedic Surgeons (AAOS), only 5–10% of total hip replacements as of 2002 were in patients younger than 50. A standard hip replacement operation takes 1-1/2–3 hours. Most patients can start driving six to eight weeks after the operation and return to work full time after eight to 10 weeks, depending on the amount and type of physical exertion their jobs requires. DO NOT move your operated hip toward your chest (flexion) any more than in an right angle. This is 90 degrees. DO NOT sit on chairs without arms. DO NOT sit low on toilet or chair. DO NOT turn your knee cap inward when sitting, standing, or lying down. It sounds too good to be true? It probably is. Of course, it is possible to have hip replacement surgery, take a significant dose of pain medication and go home the next day. The reality is that hip replacement is a major operation involving trauma to tissue and removal and replacement of bone. 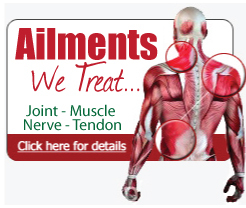 In the interests of your best recovery, there has to be a period of recuperation and rehabilitation. Hip avascular necrosis (commonly called “AVN”), now better known as osteonecrosis (“osteo” means bone; “necrosis” means death), results from interruption of the normal blood flow to the femoral head, or the “ball” that fits into the hip’s socket. If left untreated, this loss of blood flow to the hip ultimately causes the “ball” to die and collapse, leading to extreme pain, loss of hip motion, and eventually, severe arthritis. There are two major forms of AVN, traumatic or non-traumatic (meaning no injury). Hip fractures or hip joint dislocations, partial or complete, are the most common causes of AVN. The most common risk factor is the use of oral or IV steroid medications (corticosteroids such as Prednisone). Another very common risk factor is excessive use of alcohol: the greater the consumption of alcohol, the higher the risk of developing AVN. In fact, about 25% of patients with AVN of the hip develop the disorder for no apparent reason. About two-thirds of the people who develop avascular necrosis of the hip are in their 20s and 30s. Avascular necrosis is diagnosed in about 20,000 people each year. Once the hip joint is severely damaged (severe collapse and arthritis), then hip replacement essentially becomes the only reasonable treatment option. If AVN is diagnosed in its earliest stages and the diseased area of the femoral head is very small, a procedure called core decompression and bone grafting can be done with some success.Fortunately, there is good news for adolescents and young adults under the age of 50 diagnosed with hip avascular necrosis, including select patients with later stages of disease, larger sized lesions, and limited collapse. A highly specialized surgical procedure called free vascularized fibular grafting – a unique form of bone grafting – can restore the dying hip and prevent hip replacement with much greater success. Pain in the hip? Don’t ignore it. A hip fracture is a break in the upper quarter of the femur (thigh) bone. The extent of the break depends on the forces that are involved. Important Facts: Hip fractures most commonly occur from a fall or from a direct blow to the side of the hip. Some medical conditions such as osteoporosis, cancer, or stress injuries can weaken the bone and make the hip more susceptible to breaking. In severe cases, it is possible for the hip to break with the patient merely standing on the leg and twisting.A large proportion of fall deaths are due to complications following a hip fracture. One out of five hip fracture patients dies within a year of their injury. In 2007, there were 281,000 hospital admissions for hip fractures among people age 65 and older. Over 90% of hip fractures are caused by falling3, most often by falling sideways onto the hip. In 1990, researchers estimated that by the year 2040, the number of hip fractures would exceed 500,000. However, since 2000, the annual number of hip fractures has remained relatively constant. From 1990 to 2006, hip fracture rates declined significantly in men age 85 and older and in women age 75 and older. It is not known what factors are contributing to this trend. In 1991, Medicare costs for hip fractures were estimated to be $2.9 billion. Treatment typically includes surgery and hospitalization, usually for about one week, and is frequently followed by admission to a nursing home and extensive rehabilitation. Up to one in four adults who lived independently before their hip fracture remains in a nursing home for at least a year after their injury. Most people who suffer a fracture, don’t get appropriate tests done to determine if they have osteoporosis. 95% of adults who break a bone are, typically treated without being evaluated for osteoporosis. So if you have a fracture, get a bone mineral density test done. 23% higher consumption of carbohydrates was associated with 3 times higher rate of fractures! Hip Bursitis or trochanteric bursitis occurs when the bursa in the hip becomes inflamed and swells. This bursa is located on the outside of the hip over the hip bone. If the pain is affecting your gait or you are limping, then you should not run. Avoid hills and up-tempo or faster running. Icing after activity and again at bedtime can help with the inflammation in the bursa. Recently, MRI and ultrasound studies have brought into serious doubt the idea that bursitis is the etiology for trochanteric pain. ACL reconstruction is surgery to rebuild the ligament in the center of your knee with a new ligament. The anterior cruciate ligament (ACL) keeps your shin bone (tibia) in place. A tear of this ligament can cause your knee to give way during physical activity. The procedure is usually done by knee arthroscopy. With arthroscopy, a tiny camera is inserted into the knee through a small surgical cut. The camera is connected to a video monitor in the operating room. Your surgeon will use the camera to check the ligaments and other tissues of your knee. Statistics show that more than 60% of patients diagnosed with an ACL tear also have a torn meniscus. Statistics also show that female athletes have a 25% chance of tearing their ACL a second time after having the reconstruction surgery done. The average cost for surgical repair of an ACL tear is approximately $11,500. If all ACL injuries were repaired, the associated expenditure for 100,000 procedures would eclipse $2 billion annually. ACL injury rates are estimated to be 2-8 times higher in women than in men. Not a single report of mortality was found in 6 different studies examining the morbidity and mortality of anterior cruciate ligament repair. You will need to stick to a program for 4 to 6 months before you can return to full activity. The success of the surgery depends on how well you stick with your rehabilitation program. Don’t cheat on the rehab. Bone-patellar tendon-bone is the strongest and stiffest graft. Bone-patellar tendon-bone (BPTB) is one-half the strength of double-looped semitendinosus and gracilis (DLSTG). The literature concludes that the double-looped semitendinosus and gracilis is the strongest and stiffest graft. Knee arthroscopy is a minimally invasive technique that allows orthopedic surgeons to assess – and in most cases, treat – a range of conditions affecting the knee joint. During the procedure, the orthopedic surgeon makes small incisions or portals in the affected joint, and then inserts a tiny camera and fiber optics to light the interior space. Pictures obtained with the camera are then projected onto a screen in the operating suite. Injuries to both the ACL and the menisci are common, particularly in athletes. Statistics show that more than 60% of patients diagnosed with an ACL tear also have a torn meniscus. A gender specific difference in ACL injuries among young female athletes has been demonstrated in recent years. Females are 2 to 6 times more likely to tear their ACL than their male cohorts, depending upon the sport. The general success rate following ACL reconstruction is 85 to 90%. Recovery time from an ACL reconstruction varies, with a period from about 6 to 9 months representing an average time required before the athlete returns to collision sports. Arthroscopy is surgery, the myth that athletes have been fed is that a scope can find out the problem and solve it. Nothing could be farther from the truth for the average sports injury. All the arthroscope can do is look at the tissue. The Quickest Route to an Athletic Injury — The easiest and most overt way athletes are injured is not from a cheap shot from an opponent, but by one of their supposed allies, the arthroscope. The arthroscope is capable of producing more irreversible damage than the most vicious opponent produces. The damage is, however, often masked by the incredible feeling of vitality following the procedure. The primary indication for total knee arthroplasty is to relieve pain caused by severe arthritis. The pain should be significant and disabling. Approximately 130,000 knee replacements are performed every year in the United States. The procedure itself takes approximately 1 to 2 hours. Position your knee comfortably as you go about your daily activities. Walk and perform range-of-motion exercises every day. Use an ice pack if your knee begins to swell. Elevate your leg one hour twice a day if your knee, calf, ankle or foot begins to swell. Compression stockings above the knee can be purchased at any medical supply store. At home, you can use a grab bar or shower chair for added safety, comfort, support and stability. Don’t twist your knee. Don’t turn your entire body. Don’t jump or otherwise put sudden, jarring stress on your knee. Myth: A patient with knee replacement does not regain mobility by at least 6 months post-surgery and will walk with a walker. Fact: A patient with Knee surgery who undergoes quality physiotherapy post knee replacement generally walks independently within the first two weeks of rehabilitation. Knee meniscus disorders involve the medial meniscus and lateral meniscus, which are two pads of cartilage in the knee between the femoral and tibial condyles (the joint surfaces of the femur and tibia). The most common disorder is a tear of the meniscus. The outcome of meniscectomy is usually good, if the individual does not have underlying joint disease such as osteoarthritis or rheumatoid arthritis or instability from ligament damage. Most individuals can return to previous activities, including athletics. Statistics show that about 61 of 100,000 people experience an acute tear of the meniscus. Conservative treatment may include a compression bandage, a removable knee immobilizer, and nonsteroidal anti-inflammatory drugs for relief of pain and swelling and quadriceps exercises. Standing and walking may need to be limited temporarily. Squatting, kneeling and crawling may need to be limited permanently. MRI’s are 100% accurate for meniscal tears. At the other extreme, MRIs can over read conditions: One of the most questionable practices in Radiology is the reporting of normal signal changes in meniscal cartilage as “tears”. In the early days of MR imaging, these signal changes were graded from I to III. Grade I and II tears do not represent changes visible to the naked eye. I was most shocked a few years ago when a radiologist showed me how he could simply dial in a Grade I or II “tear” by turning a knob on his MRI console! There are three basic types of arthritis that may affect the knee joint. Osteoarthritis– Osteoarthritis (OA) is the most common form of knee arthritis. OA is usually a slowly progressive degenerative disease in which the joint cartilage gradually wears away. It most often affects middle-aged and older people. Rheumatoid Arthritis– Rheumatoid arthritis (RA) is an inflammatory type of arthritis that can destroy the joint cartilage. RA can occur at any age. RA generally affects both knees. Post-traumatic Arthritis– Post-traumatic arthritis can develop after an injury to the knee. This type of arthritis is similar to osteoarthritis and may develop years after a fracture, ligament injury, or meniscus tear. Nearly 1 in 2 people may develop symptomatic knee OA by age 85 years. Visit a physical therapist. Regular physical therapy can improve your range of motion and reduce pain and stiffness in your knees. MYTH: If your knee hurts, you should rest it as much as you can until the pain goes away. At one time, it was thought that people with OA should avoid exercise, because it would only add to joint damage. Today, though, research has shown that exercise is a crucial tool for helping keep OA under control. Also called “wear and tear” arthritis or degenerative joint disease, osteoarthritis (OA) is the progressive breakdown of the joints’ natural shock absorbers. More than 40 million people in the United States have the disease. By 2030, an estimated 20 percent of Americans — about 70 million people — will have passed their 65th birthday and will be at risk of developing osteoarthritis. There is no treatment to stop the erosion of cartilage in the joints, but there are ways to improve joint function. One of these is physical therapy to increase flexibility and strengthen the muscles around the affected joints. 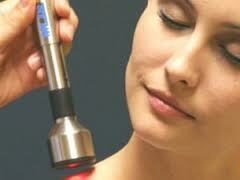 The therapist may also apply hot or cold therapies such as compresses to relieve pain. When osteoarthritis flares up, many patients find relief with over-the-counter pain and anti-inflammatory medication, such as aspirin, ibuprofen, or acetaminophen. Pain-relieving creams or sprays can also help when applied directly to the sore area. If pain persists despite the use of pills or creams, your doctor may suggest an injection of steroids or hyaluronans directly into the joint. If you’re overweight, one of the most effective ways to relieve pain in the knee or hip joints is to shed a few pounds. Even modest weight loss has been shown to reduce symptoms of osteoarthritis by easing the strain on weight-bearing joints. Losing weight not only cuts down on pain, but may also reduce long-term joint damage. Keep joints healthy by keeping them moving. The more you move, the less stiffness you’ll have. Whether you’re reading, working, or watching TV, change positions often. Take breaks from your desk or your chair and move around. Many arthritis experts believe that stretching is the most important type of exercise. Try to stretch daily but at least three times a week. However, it’s important that you don’t stretch cold muscles. Do a light warm up before stretching to loosen up the joints and the ligaments, and tendons around them. This clinical conundrum is often aptly named “The Black Hole of Orthopaedics”, implying that no single explanation or therapeutic approach has yet fully clarified this problem. The primary factor differentiating this clinical problem from other knee conditions is its inherent subjectivity. Anterior knee pain, or patellofemoral pain, is pain in the front of the knee which is often made worse by sitting for prolonged periods, stair climbing or any activity which involves bending the knee. It is often aggravated by sport. The origin of patellofemoral pain can be directly traced to supraphysiological mechanical loading and mechanical or chemical irritation of nerve endings. Even activities of daily living can become supraphysiologic. This syndrome is caused by an irritation or damage to the undersurface of the patella, or patellofemoral articulating surfaces, often inappropriately called chondromalacia patella. Studies have shown that the so-called patellofemoral pain syndrome comprises up to 50% overuse injuries. Almost 40% of pro cyclists will get anterior knee pain in any given year, but runners are by far the most numerous victims, and often the most frustrated ones. Nonsurgical management continues to be the mainstay of treatment for Patellofemoral pain syndrome. Historically this has involved strengthening the quadriceps muscle, in particular the vastus medialis oblique muscle. You should try to find good professional help, but you’ll need to be informed when you do it or you can easily waste a lot of time and money on dubious therapies. “Stay active” is one of the most common recommendations — but it may be the worst therapy of all for patellofemoral pain. It’s just knee jerk advice, given by professionals unfamiliar with the nature of PFPS. Treating PFPS like arthritis is a basic misunderstanding of the condition. Family doctors usually do this, but they are generally poorly informed about PFPS. Hip strengthening is a new treatment — almost fashionable — but it is far from proven and has been over-hyped since about 2005. Osgood Schlatters disease is a very common cause of knee pain in children and young athletes usually between the ages of 10 and 15. It occurs due to a period of rapid growth, combined with a high level of sporting activity. Though it’s one of the most common causes of knee pain in adolescents, it’s really not a disease, but an overuse injury. OSD can be quite painful, but usually resolves itself within 12 to 24 months. These changes result in a pulling force from the patella tendon, on to the tibial tuberosity (bony protrusion at the top of the shin). This area then becomes inflamed, painful and swollen. This is frequent in younger people due to the remaining softness in their bones (from childhood). It typically strikes children from 11 to 15. One study suggests that 13% of all athletes suffer from OS disease. OSD can be quite painful, but usually resolves itself within 12 to 24 months. This injury needs rest if it is to heal properly. There are many causes of a fracture around the knee. A very common cause is a car accident. A blow to the knee during almost any contact sport can also result in a fracture. Falls from heights or even sudden indirect forces, such as stumbling down stairs, can cause a fracture. Treatment for knee fractures is based on the severity of the fracture and the bone involved. Usually fractures of the femur require some form of surgical stabilization. Mild fractures of the patella can sometimes be treated with immobilization. Displaced patellar fractures, however, require surgery. Finally, tibia fractures are highly variable and need individual assessment prior to developing a treatment plan. Most surgery involves the placement of screws, plates, wires or rods. Apply a sterile dressing to open wounds. Don’t move the patient unless the injured area is completely immobilized. Don’t attempt to straighten a misshapen bone or joint or to change its position. Don’t test a misshapen bone or joint for loss of function. After total knee replacement surgery, some people develop joint stiffness, which is also called a joint contracture. Contractures cause the envelope of the knee (called the capsule) to stiffen and become rigid so the patient can no longer move their knee the way they used to. After stretching and other exercises, only a surgery can try and divide or remove the contracture. Any decrease in the normal range of motion is designated a contracture. Contractures may be anticipated side effects of necessary treatment, such as a knee contracture after plaster a total knee replacement. Contractures probably begin forming within eight hours, as illustrated by the morning stiffness after a night’s sleep, but this can be reversed by a single range-of-motion exercise. In a review of the literature, the authors state that stiffness occurs in roughly 6% of cases, making it the most common knee replacement surgery complication. Manipulation of the knee by the surgeon under anesthesia is generally successful when used within the first three months after surgery. After this period, more aggressive surgical options should be considered since manipulation can result in fracture or soft-tissue damage.